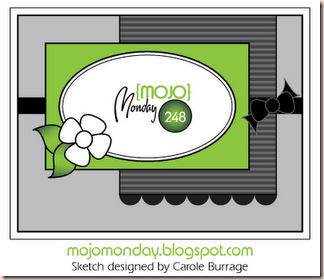 I needed a shabby chic card for a swap so I combined it with two challenges, Mojo Monday and Shabby Tea Room. I used an embossing folder I recently got for the panel under the main design elements. I wanted a bit of interest in the background without overwhelming the soft and shabby papers. I added white ink to highlight the pattern. The kitten is coloured with Copics to give her a soft, shabby tabby feel. 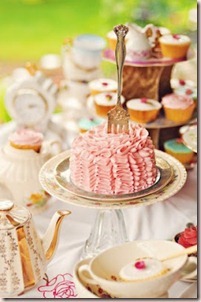 I used pink/peach rick rack to mimic the ruffled icing ribbons in the inspiration photo. I turned the sketch but otherwise stayed pretty true to it ( just rotating it and flipping it). Something I noticed the judges of Mojo Monday tend to like! The entries they choose almost always include all the elements in the same places and in the same proportions. Something I struggle with! Click on either challenge photo for a link to their blog posts. I’ve got lots to do to get ready for a congregation BBQ tomorrow so this was a super fast post! Let me know if you need any more details! This is so gorgeous, Rebecca. 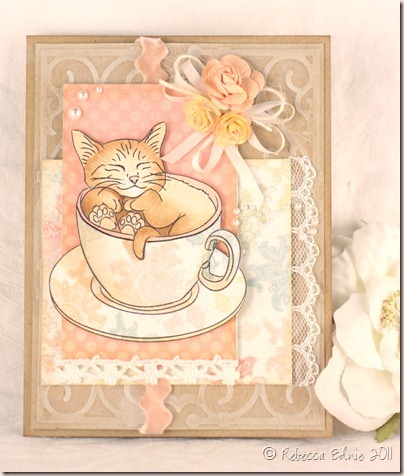 Love the kitty image and the soft colouring and all the details. Awww…sweet sweet image of kitten in the tea cup…love it! Such a lovely card…great job! Very pretty! Love the little kitty cat and your coloring! Hi Rebecca~ This is the sweetest image! Love your background treatment and all the visual texture~ So pretty!